This post is sponsored by the year 1987 and the words Music Group. Now, just say the words together… “1987 Music Group”. Yeah, you got it … now don’t forget that record label. “Friday is usually the beginning of the weekend for the regular 9 to 5ers. Friday is also the title of the classic hood movie starring Ice Cube and Chris Tucker. On this Friday we hope to kick something else special on this unique day. This what they want huh? Okay, this real hip hop fantasy is over… But you can Listen to “Friday (Kick Somethin’)” by Marcus J – real hip hop – on SoundCloud. 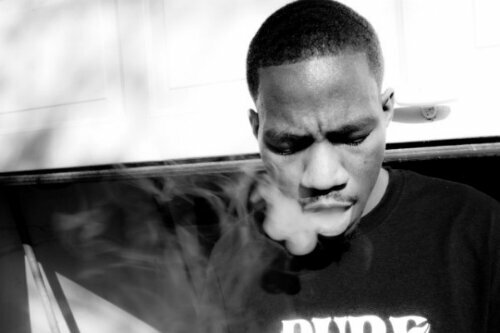 Austin, TX native Marcus is amongst a rare breed who lives and breaths true hip-hop. No gimmicks or bs, Marcus J represents what pass hip-hop soldiers fought and died for. Marcus J is out to prove to new fans and listeners that he can to handle business and destroy any mic or beat in his way.